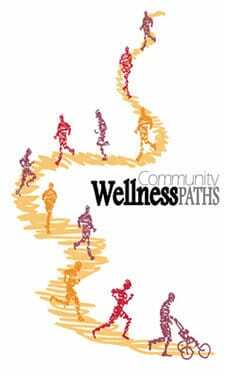 Click to download a printable brochure of the Chelsea Wellness Paths, which includes a map of the routes and other useful information. An electric interurban trolley was established in Chelsea in late 1901, connecting Detroit and Jackson with stops along the way in towns such as Ann Arbor, Lima Center and Grass Lake. Once in Jackson, travelers could transfer lines going either to Lansing or Kalamazoo or Grand Rapids. A station building was located on South Main Street across from Federal Screw Works building. Interurban trains ran from early morning until midnight with at least one trolley running every hour in each direction, becoming an important transportation mode for area passengers. This section of the interurban track ran through Chelsea’s peat factory which harvested the abundance of peat from what is currently the hospital grounds. The peat was transported by electric railroad cars through the peat marsh to the main Michigan Central Railroad tracks that run across N. Main Street.